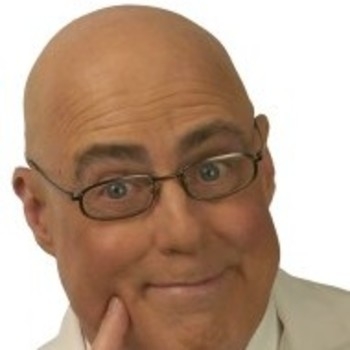 Clifford C. Kuhn, MD, the Laugh Doctor, is a physician, medical school professor, humorist, professional speaker and personal coach who helps individuals and groups enhance performance, productivity and health by connecting more effectively with humor. He offers uplifting keynotes and after-dinner presentations, as well as seminars and workshops up to a full day in length, which teach audiences as diverse as corporate executives, physicians and chronically ill patients how to reconnect with positive energy. A native of Philadelphia, Pennsylvania, Cliff graduated from Ursinus College and Jefferson Medical College, before receiving his psychiatric training at the University of Michigan. He has held his current medical school faculty position since 1974, and has, through the years, served as Chief of Consultation--Liaison Psychiatry, Director of Residency Training and Associate Chairman of the Psychiatry Department. He is the recipient of many awards and accolades for his excellence as a scholar and teacher. Dr. Kuhn's clinical focus is in the field of mind/body medicine. Decades of work with cancer patients and their families taught him to appreciate the healing power of humor. Cliff's laughter research led him into the world of comedy, and in 1991, he took a leave of absence from his university position to perform in comedy clubs throughout the United States. On this sabbatical journey, Dr. Kuhn learned first-hand what produces healthy laughter and determined how those techniques might be tranferred to clinical settings. 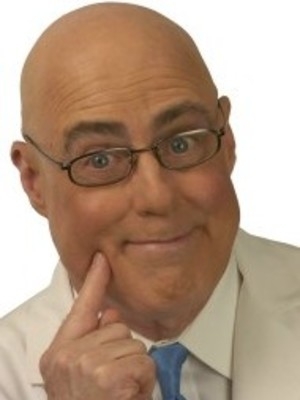 As a physician/humorist, the Laugh Doctor has attracted national attention in radio and television, with appearances on Entertainment Tonight, WGN-Chicago, CBS Overnight, The Learning Channel, The E! Channel, The Canadian Broadcasting Corp. and CNN, and in the popular press such as Newsweek, The Wall Street Journal, The Washington Post, The Chicago Tribune, Reader's Digest, Lear's Connection, The New Yorker, Family Circle and The AARP Bulletin. He has been recognized and lauded by his peers in publications such as Psychiatric News, Psychiatric Times, Hippocrates Magazine, Clinical Psychiatric News, The Journal of Nursing Jocularity, Humor and Health Journal, Coping Magazine and The Journal of Cancer Education. Cliff has appeared before groups such as FedEx Corp., Yum! Brands, Inc., Fantastic Sam's, Inc., Aegon Corp., Humana, Inc., Kindred Healthcare, Lundbeck Pharmaceuticals, Mercer Human Resource Consulting, Inc., Meeting Planners Int'l and many hospitals, recovery networks and community service organizations. Dr. Kuhn's inspiring programs based on his HA HA HA Prescription and featuring his many "Smile Strategies" have proven to be entertaining as well as practical. Whether the goal is to heal from a devastating illness, increase wealth and productivity, or simply to gain greater satisfaction in life, the healing principles embodied in the HA HA HA Prescription are easy to grasp, fun to learn and guaranteed to yield excellent results. In 1995, The Laugh Doctor formed a collaboration with famed comedian Jerry Lewis. The two have since presented "The Jerry Lewis Laughter and Healing Seminar with Dr. Clifford Kuhn" at dozens of medical schools and universities across the nation. Dr. Kuhn is also a professional member of the National Speakers Association, who's Kentucky Chapter selected him as Member of the Year for 1999. In 2000, he was honored by his alma mater, Ursinus College, as Alumnus of the Year. Cliff lives with his wife Connie on their farm in rural Kentucky, and is proud of his son Gregory, daughter Rebecca and grandchildren Jordan, Noah, William, Emma and Logan.